Multidimensional spectroscopies correlate the oscillation frequencies of an atomic or molecular resonance during at least two different time periods. For two-dimensional (2D) optical spectroscopy, oscillations in the first coherence period are sampled in the time domain point-by-point. We present a general method for accelerating this often lengthy task, the quasi-rotating frame (QRF), through heterodyne detection of the nonlinear signal pulse with a systematic variably delayed local oscillator pulse in a noncollinear (box-CARS) geometry four-wave mixing experiment. 2D infrared (2D IR) vibrational echo experiments are conducted to demonstrate the QRF technique, and the results are compared to data obtained in the stationary frame. 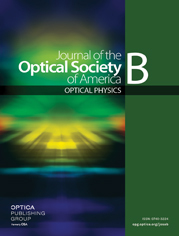 We describe straightforward techniques to configure QRF detection, prevent experimental artifacts, appropriately calibrate the rotating frame frequencies, and process the resulting data such that accurate liquid structural dynamics may be extracted from a series of waiting-time-dependent 2D spectral line shapes.